Quebec premier-designater Pauline Marois avoided being shot by a crazed gunman on Sept. 4th. One man was killed and another critically wounded. The news shocked all of Canada. 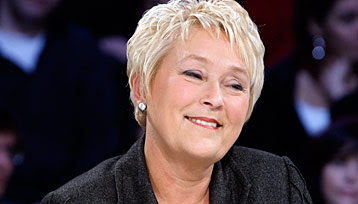 On September 4, 2012, Parti Quebecois leader Pauline Marois won the Quebec provincial election. She was to give her victory speech at the Metropolis in downtown Montreal when a masked gunman opened fire, killing a stage technician and injuring another. Marois was unharmed. It has not been determined whether this was meant to be an assassination attempt on Marois or not. Even if it was, politically-motivated assassination attempts in Canada are extremely rare. Nevertheless the shooting did remind us that such a catastrophe is very possible here in Canada. Throughout the beginning of time, being a political leader has always been a position to put one’s life in jeopardy. The King of a country would be seen as the prime target for warring armies in the quest to conquer. A leader could even be assassinated by a person within their circle as Julius Caesar was. Even in modern day dictatorships or dictatorships of the recent past, a head of state would be prey for assassination attempts like Fidel Castro, Saddam Hussein, Salvador Allende or Anwar Sadat. The assassin would either be an person of opposition or a militarized coup. Even in democracies assassination attempts are still common as was the failed attempt on UK Prime Minister Margaret Thatcher in 1984 and the successful attempts on India’s Indira and Rajiv Gandhi in 1984 and 1991 respectively. Even countries with a reputation of being peaceful like Sweden are not immune to assassination attempts as was the case when Prime Minister Olaf Palme was shot and killed in 1986. The most famous assassination attempts in a democracy have come from the United States. Four presidents including legendary presidents like Abraham Lincoln and John F. Kennedy have been assassinated while in office. In 1981, President Ronald Reagan was shot while in office but survived. The most recent assassination attempt on an American politician was on January 8, 2011 on Arizona US Representative Gabrielle Giffords. She survived but six others, including US District Court Judge John Roll, were killed. Here in Canada, we’re lucky not to have a prime minister assassinated while in office. Even infamous prime ministers like Brian Mulroney lived to see his last day in office and even Stephen Harper is still alive and active during a time of Harperphobia that’s heavily promoted through the gab of liberal Canadians. The closest call was on Jean Chretien back in November 5, 1995 when a man armed with a knife broke into his home residence to stab him. Neither Jean nor his wife were hurt. There have only been two successful assassinations in Canadian politics. The first is Thomas D’Arcy McGee. He was both an Irish nationalist and a father of Canadian Federation. He would attack the Orange Order in his writings in the 1850’s and defended the Irish Catholic right to representation in the assembly. He was elected to the Legislative assembly of the Province Of Canada in 1858 and played a significant role in the creation of the Dominion Of Canada. Less than a year after the independence of Canada, McGee was shot to death by Patrick Whelan, an Irish Catholic and a sympathizer of the Fenians: a group of Irish Americans who wanted to take over Canada to prevent British occupancy. Whelan was hanged. McGee remains the only Canadian politician at the federal level to be assassinated. The second successful assassination was at a provincial level and an act of terrorism. Pierre Laporte was Vice-Premier and Minister of Labour of Quebec in 1970 as Robert Bourassa was the Premier. On October 10, 1970, Laporte was kidnapped outside his home by a cell of the FLQ: A Quebec independence terrorist group. The FLQ was already regarded as a dangerous group for it had already committed seven murders, multiple mail bombings in the 60’s and bombed the Montreal Stock Exchange one year earlier. A British diplomat had been kidnapped days earlier and was still hostage. Laporte’s abduction was part of a ‘political protest’ to have ‘political prisoners’ freed. The Government of Canada under Pierre Trudeau responded with the enactment of Canada’s War Measures Act and Trudeau’s promise to punish whoever harms the two men. On October 17th, seven days after the abduction, Laporte’s body was found. The incident is remembered in Canadian history as the October Crisis. The British Diplomat was released in December and the FLQ eventually declined due to heavy police crackdown and declining public support after the assassination. Nowadays the biggest lobby for Quebec independence is through peaceful political lobbying like the Parti Quebecois. Despite current politics in Canada being mostly peaceful, there is a chance for violence either by a cowardly person or a person with opposing viewpoints. We shouldn’t forget that Canadians have often reacted angrily to political situations in the past. We’ve had rebellions in both Lower Canada and Upper Canada before the Dominion was created. We’ve had rebellions in Manitoba in the 19th Century like the Riel Rebellion. We’ve had labor riots in various cities with the Winnipeg Riot of 1919 being the most famous. Political violence became less admired and more looked down upon since World War II but it’s not to say it’s completely gone away. Back in the 60’s there were attacks on air force bases to protest the war. In the 80’s and 90’s, there were protests and blockades from First nations groups. Even in my city of Vancouver, there have been political riots like the G7 riot back in 1997 and various anti-Olympic protests before Vancouver 2010. There was also the G8 riot in Toronto from anarchist groups. So there’s no doubt that there’s political anger here in Canada that can turn violent. I won’t say that the Montreal shooting was politically motivated as that has yet to be proved but I will state the facts I’ve read and know as of now. On the night of September 4th, 2012, the Parti Quebecois won the provincial election with a minority government. Party leader Pauline Marois delivered her victory speech when partway through, a masked gunman opened fire with what many thought was an AK-47. One stage technician was killed and another was injured. Marois was taken away by her bodyguards and was unharmed in the shooting. The gunman then attempted to set fire to the building with a Molotov cocktail. The shooter was quickly tackled and arrested by the police. The victim was 48 year-old stagehand Denis Blanchette. Witnesses including Marois herself believe his actions taken that night could have prevented more fatalities. His funeral was held in a Roman Catholic church and was attended by hundreds including Marois and other political dignitaries. Police were present throughout the church. Dave Courage, the 27 year-old man who was also shot, was originally in critical condition and continues to recover in hospital. The suspect is 62 year-old Richard Henry Bain of La Conception, QC, a small town 90 miles northwest of Montreal. He faces 16 charges including first-degree murder, one count of attempted murder as well as possession of explosive material and prohibited weapons. While being placed in a police cruiser, he yelled in French “Anglos are waking up.” then in English: “It’s f***ing payback time.” Crown Prosecutor said Bain has 27 guns, all but one had been registered. Bain is expected to reappear in court on October 11th. Despite the statement, it’s unknown whether Bain’s actions were politically motivated or the actions of a crazed man. Court trials and public reaction will define the events yet to come and could even affect the political climate in Quebec. One thing about the shooting is that it reminded Canada that political assassinations in Canada are quite possible. An extremely rare chance of happening but still likely. WIKIPEDIA: 2012 Montreal shooting. Wikipedia.com. 2012. Wikimedia Foundation Inc.